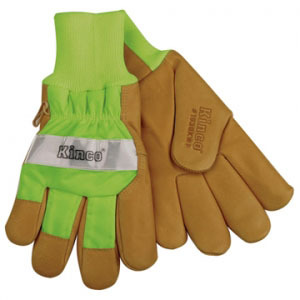 Lined Grain Pigskin Work Glove. Features 3M Scotchlite Reflective Material, Safety Green Nylon Back, AquaNOT! waterproof lining, Heatkeep Thermal Lining, and Knit Wrist.